Family Dental Svc Of Bayside (Flushing) - Book Appointment Online! 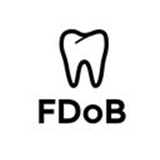 Family Dental of Bayside provides patients with complete oral health care, ranging from a basic cleaning to cosmetic dentistry, root canals, crowns, orthodontics (Invisalign), and implant services to meet your needs. Whether you need a procedure to prevent further deterioration of your oral health or interested in a cosmetic transformation, expect to leave our office with a smile. Our goal is to bring out the full potential of your smile and it is our commitment to you, that your trust in us will be met with a high standard of quality care and professionalism. Whatever your questions and concerns are, we have the answer. Love him and his staff. They gave me pineapple flavored lidocaine and played music before my wisdom teeth extraction, probably because I was a nervous wreck. The kind lady at the front desk kept asking me how I was doing and told me to call if I felt any pain and everything is kept squeaky clean. I went to get 2 wisdom teeth out and another 2 the second visit. They get a 10/10 from me both times!